Happiness is on the top of a needle! Whose qualities of perfect cut and artistry are woven into one. Myoo’s inspiration began two years ago with the birth of the second princess in their home. So was the first ready-to-wear Myoo Kids collection. 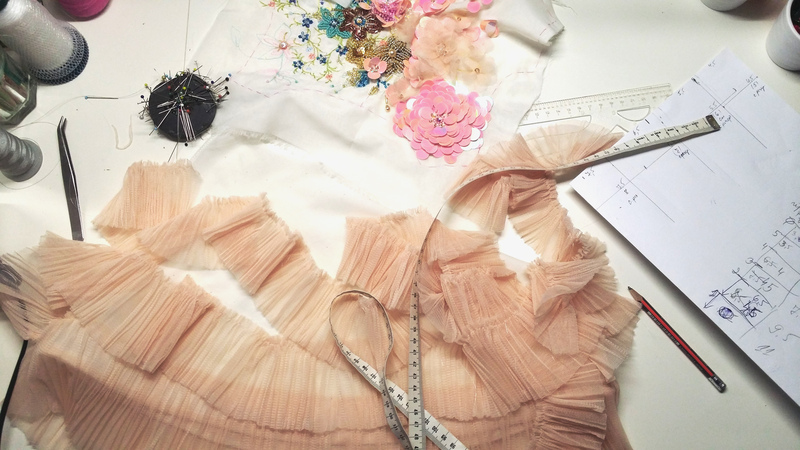 All dresses are made in their studio in Berlin personally by them. Their brand creates only author’s models, with most of the orders being taken and developed online all over the world. Beyond the concept of a beard is the extraordinary attention to the process of making the workpiece. We use mainly cleaned fabrics, which are decorated with appliqués, embroidery, sewing or painted elements. Two years after the creation of the brand comes the first Haute Couture Women collection, including luxury cocktail and bridal dresses.